Modern plastics vary greatly throughout their manufacturing processes. The differences between various types of plastics and the different uses machinists will have for their materials cause problems for some people. A good machinist, whether you are a hobbyist or a professional, should be aware of the problems you could run into and steps you can take to get around those problems. Not all plastics are made equal, not even plastics that share the same name when you are purchasing your raw materials. Something as simple as a change in color can alter how one plastic cuts compared to another. You need to be able to recognize and classify what kinds of categories plastic falls under when you are working with it. To start, determine whether you are working with hard or soft plastic. This is easy to determine; you can check this by seeing how rigid or flexible your material is. 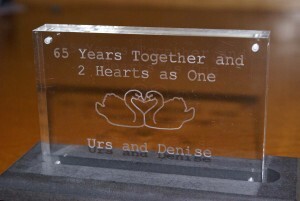 Alternatively you can see what type of chip is produced when the material is cut. Soft plastic chips will curl while hard plastic chips retain their solid shape. A single type of plastics is not always universally hard or soft; some plastics can be hard or soft depending on how they were manufactured. Knowing the geometry of your cutting tool is the second step to success. Tools that are best suited for cutting plastic have high rake and low clearance. These days there are thousands of different tools made for plastics cutting that you can choose from. Soft plastics tools have “O” shapes and are usually straight or spiraled in shape. Hard plastics tools can have an “O”, spiral shape or a “V”, straight shape. One of the most irritating problems you can run into is the plastics material welding. This problem can happen due to the direction of your cut, using a cutting tool that is too small or having a chipload (the thickness of a chip) that is too large. Chipload is the most common cause of this problem. Your chipload is determined by your spindle speed, feed rate and the number of edges on your cutting tool. In plastic routing you want your chips to be just the right size to distribute heat correctly. Another potential problem is your finished project having poor finish. Having good finish is extremely important on plastic items, especially ones that are made to be put on display somewhere. The quality of your finish is going to be heavily affected by your chipload. Problems aside from chipload tend to come from the condition of your CNC router. You want to make sure that your CNC router is up to speed on maintenance and performance at all times. Learning to work with plastic correctly is a matter of practice and with time you will become experienced enough that you will run into these problems less and less, until you stop running into them almost altogether. Making sure you have the right bits for plastics is one of the most important parts of preparing for projects. Your best option for hard plastics is a solid carbide router tool. If you cannot get one of those a carbide tipped tool is a good second choice but they will not perform as well as a solid carbide tool. You can use the same kind of tools on soft plastics but high speed steel tools will also work well on these softer materials. Your CNC router should be capable of speeds of at least 15,000 RPM to work on plastic. A CNC router is the best type of CNC machine for working on plastic, being the machine that is best suited for working at the high speeds your projects will require. Ideally you want to be working at 18,000 RPM, if your machine can operate at that speed, at a feed rate of 200 in. per minute. This is a general figure for plastics in general and the exact speed and feed rate you should use will vary a bit between different types of plastic. Since long before recorded history began, people have made music. From something as simple as banging rocks together to an endeavor as complex as performing an opera, people have always had a fascination with music as a medium of storytelling and a form of entertainment and we likely always will. In modern times people who think of music generally think of instruments. Having access to a CNC machine allows anyone to make a musical instrument of their very own for all musical entertainment purposes. But music is not limited to traditional instruments alone. Anyone who has seen the theatre performance Stomp or similar shows knows that even everyday objects can be used to make music. While a CNC machine is not an everyday object they too can be used to make music, in a more literal sense than machining an instrument. Most instruments are made from either metal or wood, which just so happen to be two of the most common materials used by hobbyists for their at-home CNC machining projects. 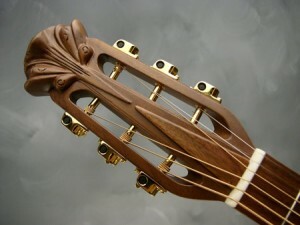 One of the most popular instruments that hobbyists seem to go with is the guitar. There are dozens of different types of guitar designs that you can choose from. Many guides exist on the Internet for making a guitar with a CNC machine. 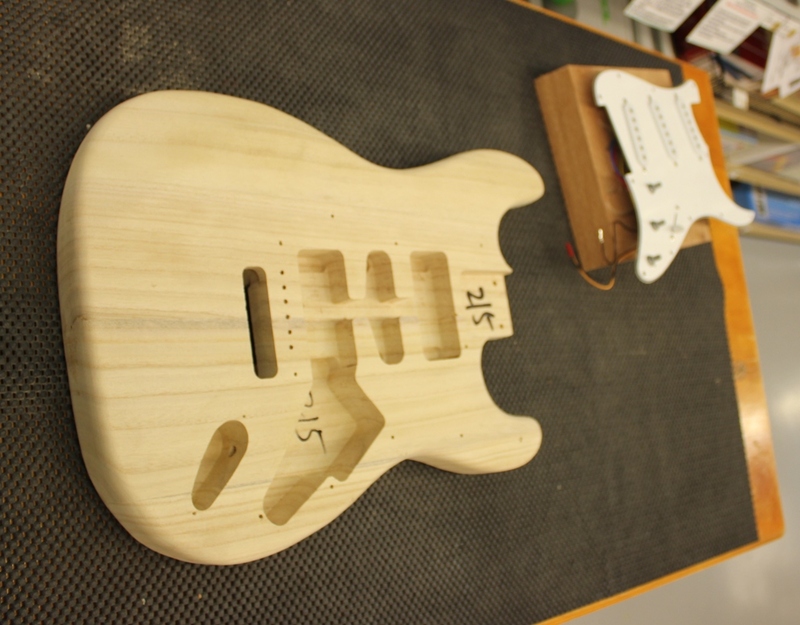 While the general process is primarily the same for most guitars it will be the customization process that is the heart of this project. You may be able to find files and just make the guitar straight away from those but you also have customization options. This guitar can look however you want it to look like. Maybe there is a guitar you like but that you wish was a bit different, allowing you to use that guitar as a blueprint and tweak the design to fit your own tastes. Or maybe you want to be really creative and design something completely from scratch to fit your own mental image of the perfect guitar. This same principle applies to most instruments, depending on their level of popularity. You are more likely to find help and support videos for more commonplace instruments, like a violin, than for rarer or larger items like a cello. Those of you who work with metal can also pursue this project by making saxophones, trumpets or other instruments constructed from metals. Regardless of what type of materials you are using you do not have to create an entire instrument either. If you already have a ready instrument you could make new individual parts to replace, repair or upgrade various components of those items. Besides producing instruments to make music, CNC machines can be used to make music themselves. The key to this process is to figure out a combination of feed rate and distance along an axis that will allow the stepper motor to spin at a frequency that mimics a musical note. With a bit of tinkering you can produce chords to replicate songs or to even entirely new tunes of your own. A more in-depth explanation of this process, as well as several musical examples based on popular video game soundtracks, can be found at http://tim.cexx.org/?p=633. Another example (https://www.youtube.com/watch?v=jAWF-qhh4pQ) shows a synchronous motor that has been set up to play the song “The Imperial March” from the film “Star Wars Episode V: The Empire Strikes Back”. In the first example MIDI (mid2cnc) script is use to generate these musical results. While the sounds you generate may not be as spot on as an orchestra directed by John Williams it can be very fun to get an additional use out of your machine while getting to do something a bit different with it. Sometimes it feels like our childhood ended quite soon. We were burdened with education and sent to college. After that, all we could think of was getting a job and being financially stable. Well, now you have achieved that, you have got the time to discover some new hobbies. The best option you have id ‘Do It Yourself’ (DIY) projects. Let’s know more about it. We should start with knowing why it is the best option. DIY has numerous benefits. Some of them are enlisted below. 1. While working on a DIY project, you are the boss. You can implement your ideas and your methods freely. This is a great privilege for those who are working at a place where they have to do exactly as told. By working on something of your own, you will be able to feel the liberty. 2. The projects will actually serve some purpose. While most of the hobbies, like movies or sports, are only for passing the free time, DIY will get some work done. Suppose you need some piece of furniture for your living room, rather than hiring someone to build it, you can do it yourself. 3. There have been a few cases where people have created something innovated through a DIY project and have made some money by selling it in the market. If you are able to create something new or modify an old thing to serve a better purpose, you might be able get some profit out of it. 4. It is a great way to bond with your loved ones. If you are able to get your kids or friends involved in your project, you will get to spend some quality time with them. And creating something new together always strengthens the bond between two people. 5. You can fulfill many childhood dreams by taking up DIY as a hobby. For instance, there are many people who have always wanted a video game cabinet. Not everybody can afford a new one. But the DIY kits for these machines are quite cheaper. If you build it yourself, it will not just be cheaper but also a lot more satisfactory. There are numerous websites that sell these projects. You can browse through them and take a look at all the options. You can even talk to your friends. You might find someone who has been doing this for a while. They will be able to recommend some projects to you. 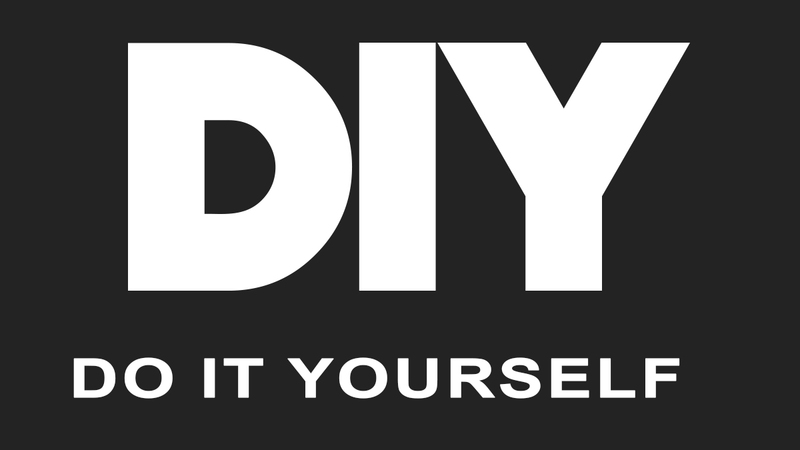 Also, you can join forums or blogs that focus only on DIY. You will learn about some popular projects. You can even use a search engine to find out about the most popular projects. Once you have found a few good options, you will need to select one from them. To take this decision, you can take the following things into account. It will help you take the right decision. 1. Required skills: Every project requires different skills. The basic ones need you to be comfortable with screwdrivers and drilling machines while you need to have good knowledge of computers and electronics for the advanced projects. So, you should select the project, according to your skill set. Otherwise, you will be stuck in between without any clue about what to do next. It is better to start something you can complete. 2. Affordability: There will be a bunch of different things that you will have to buy to start a project. The most important things are the tools and the material. Once you get these things, you can start. But there are several other things that you will need along the way. You should plan according to that. Suppose you have 100 bucks, start the project that takes 75 bucks according to your initial estimates. 3. Time needed: If you start counting all the things that you started with great enthusiasm but soon left it due to a busy schedule, the list might get quite long. So, select a project that is not too long. Otherwise, you will soon get bored and leave it. At least the initial projects should be short. Once you have gained complete interest in DIY, you can take on bigger projects too. When a cutter moves through material it can mill up (conventional milling) or down (climb milling). Many machinists use climb milling for most, if not all, of their CNC projects. Climb milling is known for producing better surface finish than conventional milling and overall does have more advantages than conventional. However, climb is not always the better of the two options and any machinist should know that there are times when conventional is preferable, and when those times are. Using climb milling, each tooth on your cutting tool makes contact with the material you are working with at a defined point and moves out, cutting thinner parts of the material until it is no longer touching the material. So, the width of the material being cut starts at the maximum length and decreases to zero as the cutter moves. This causes chips to be thrown behind the cutter, making chip removal an easier process while machining. Tool life is also extended because each tooth on the cutter is not rubbing against the material. One of the major downsides of climb milling is that it can potentially produce a lot of backlash. As a result this method should mainly be used on machines that can eliminate large amounts of backlash and it may not always be usable with older CNC machines. Conventional cuts in the opposite direction of climb. Using conventional milling, the teeth of the cutter will start at zero thickness and work their way up to the maximum thickness that you are cutting. When first making contact with the material your cutter does not even cut the material; it slides across the material surface until enough pressure is built up for the tooth to dig in and begin cutting. This causes the work material to become hard and somewhat deformed and also causes cutters to dull faster than when using climb. The sliding and biting of this cutting process also tends to leave an inadequate surface finish on work materials. On the upside this process does not generate anywhere near as much backlash as climb and is a perfectly sound cutting method on almost any CNC machine. The two methods do not have to be used independently either; climb can be used for rough passes while conventional milling is used for finishing passes. Climb does have a few distinct advantages over conventional when your machine can manage it. As mentioned before, your tool life will be longer, surface finish will be better and chip removal is much easier. Additionally, you do not need as advanced of a hold-down system. Climb exerts force downwards instead of upwards like conventional milling. You can also use higher rake angles while climb milling, saving you a little money on the amount of power needed. Just do not forget about the excessive backlash when looking at all of the positives of climb milling. When using climb milling, deflection can causes some problems with surface finish. Climb cutting causes tools to deflect, deforming the surface finish of projects and leaving you with less than adequate results. If you run into this issue try switching to conventional cutting; that will likely make a big enough difference to correct any issues you are having with maintaining a good surface finish. While conventional cutting can help it will not always fix your problems. If you have tried climb cutting and conventional cutting and are still having issues you can decrease deflection further by reducing the depth of your cuts. Using a small amount of your cutters diameter will make it less likely that you will experience any deflection.